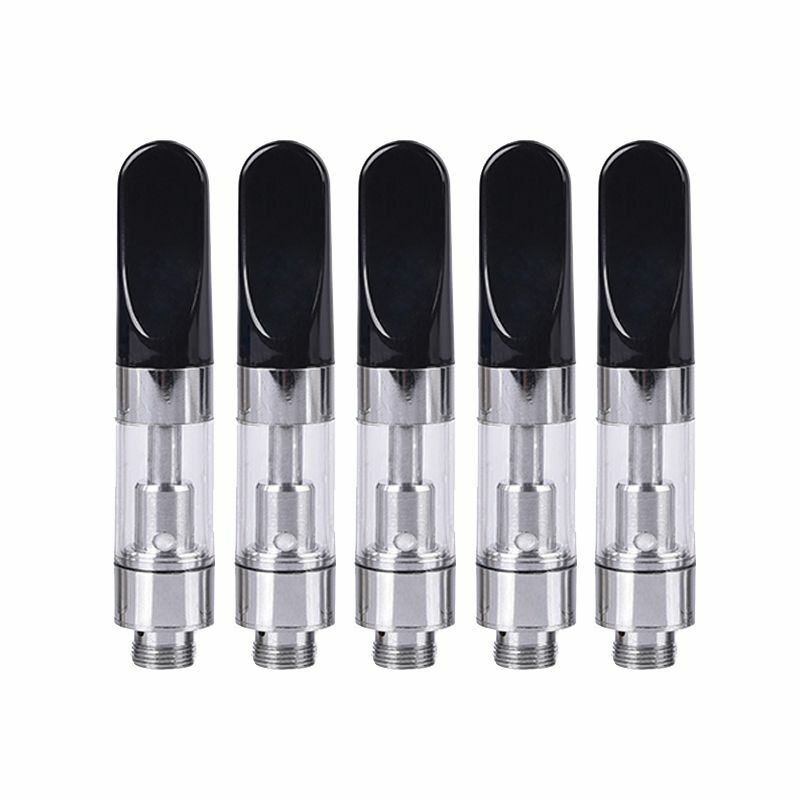 The Ceramic Cell Wickless Cartridges 5 Pack are cutting-edge 510 thread heating attachments made for use with thick waxy concentrates that sport an innovative wickless ceramic core element. 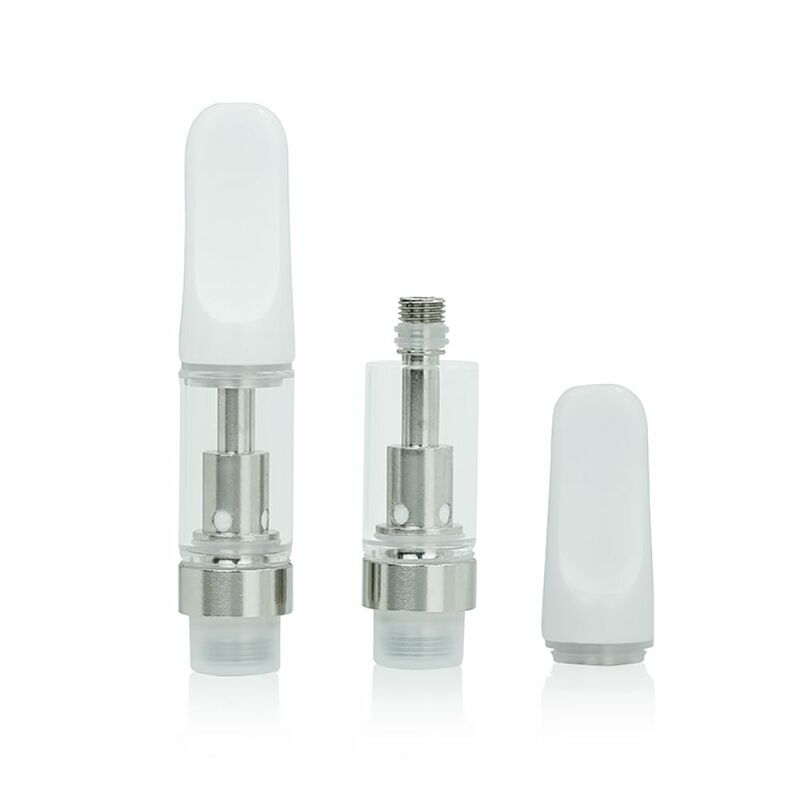 The wickless atomizer is designed with four intake holes that are made available in two different sizes for use with varying oil types. For thinner essential oils the 1.6mm hole size will see best results and when working with thicker oils go for the 2mm option. 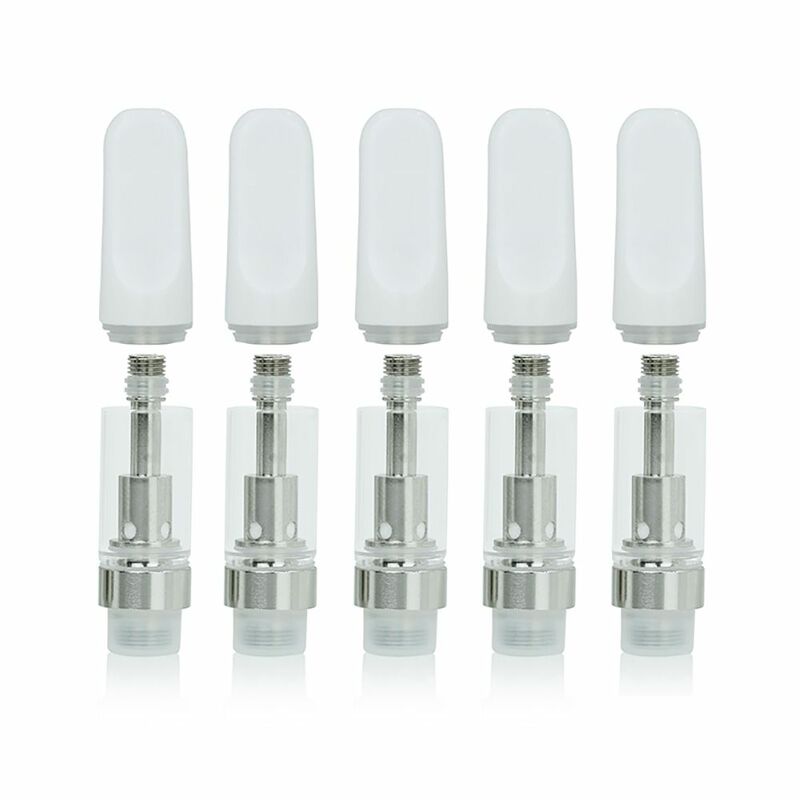 These premium glass oil cartridges utilize a mess-free top fill method that allows you to achieve the maximum 0.5mL tank capacity with absolutely no leaks! 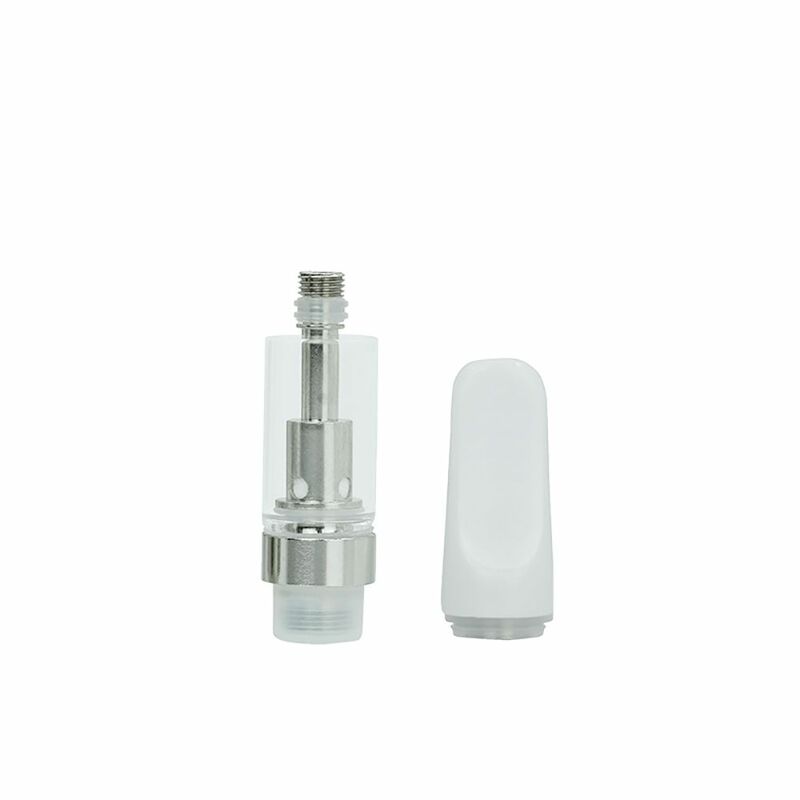 Remove the threaded top cap, drip in your oils, replace the cap and your ready to vape. There is a silicone O-ring seal that sits above the rim of the glass tank to create a strong seal and virtually eliminate the possibility of any leakage. 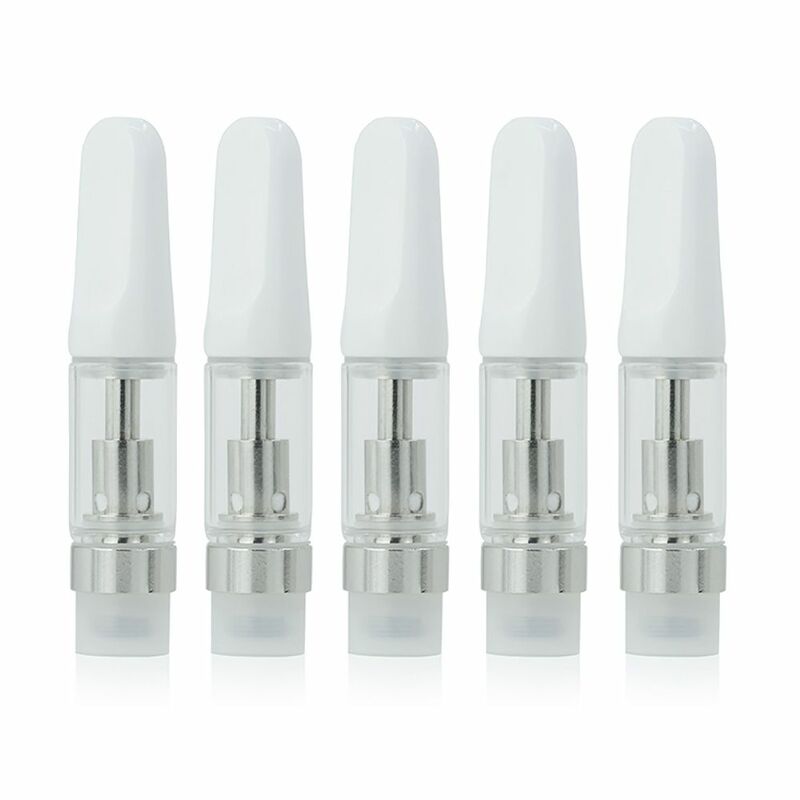 These advanced concentrate cartridges also features a smooth ceramic mouthpiece (available in two colors), a wide 10.5mm diameter and it is made to be compatible with most cartridge batteries that utilize the magnetic adapter connection system. The Wickless Ceramic Cartridges can be used with cartridge batteries that use the 510 thread magnetic adapters. Above is a list of devices that have been tested with these cartridges and confirmed compatible, most devices not listed above should be compatible but cannot be guaranteed.